[July 21, 2014] In his book, The Seven Habits of Highly Effective People, Stephen R. Covey writes that the most successful people are able to “sharpen the saw”. He means is to balance and renew your energy, especially mental renewal. This is done, he notes, through “good reading.” In the military it is recommend that all leaders read mission-related material. Going beyond author Covey, the reading should not just “renew your energy” but also be relevant to your leadership position. This is not easy to do. With a busy schedule and a high demand that requires focusing on people, reading is usually the first thing to get sacrificed when looking to gain efficiencies. However, senior leaders have found that when they do not read, they are left behind intellectually. Reading the material is a forcing function to get a break from the daily routine. Reading therefore should be a planned, regular daily habit, not an occasional action of unimportance. It is difficult to find very senior leaders who are not well read. Most leaders have a list of books and articles they have found most valuable to them. Some publish their list of favorites. General Raymond Odierno, Chief of Staff of the U.S. Army, has published his list (PDF link here) and updates it occasionally. 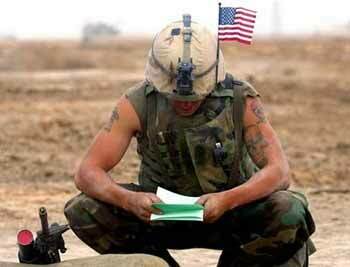 For someone with the most difficult job in the U.S. Army to find time to read will amaze some folks. Note that all these books in some way is connected to leadership.